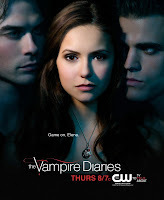 I'm currently hooked to The Vampire Diaries tv series. I've downloaded the entire season one and was able to watch all episodes in a week's time. It has been my companion during my nail art sessions for the past few days. 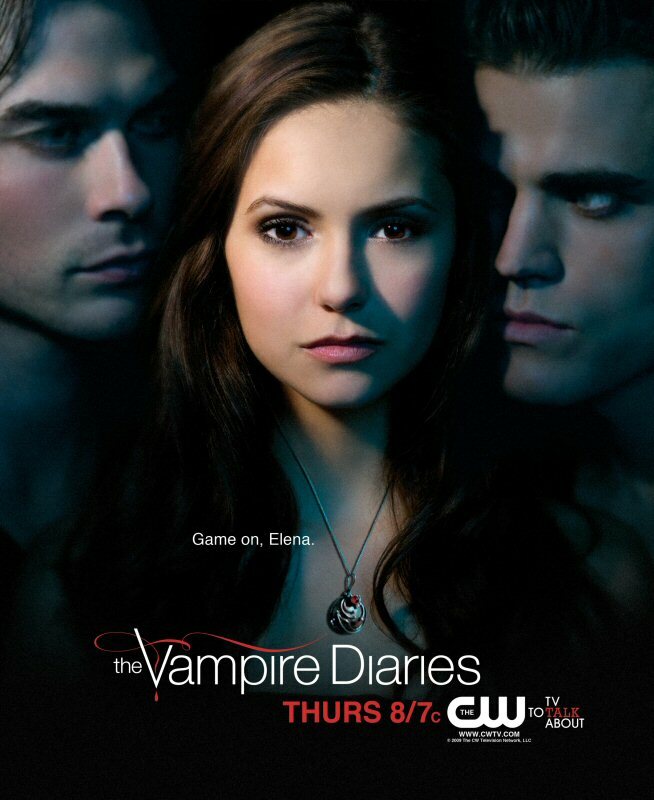 The Vampire Diaries is now on it's second season and I've been anticipating every episode. In honor of my addiction (for lack of a better term) to this series, I've decided to create a nail art that reminds me of the show. 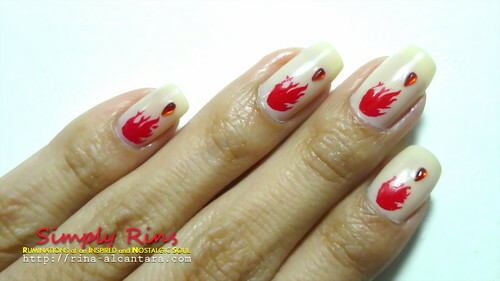 This is a layer of base coat, 3 coats of Orly Tennis Anyone, stamped with red Konad special polish, stamped with an image from the Bundle Monster BM07 plate, embellished with teardrop-shaped rhinestones, finished with a layer of top coat. I think this picture came out too bright. I did a few nail art designs this week to keep me from entertaining my thoughts and my emotions. 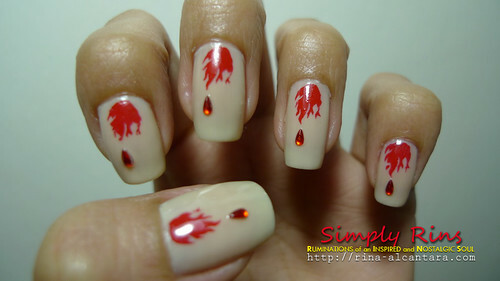 But I had to share this design before the others. In the series, a vampire and a human fell in love. They are clearly a mismatch in terms of their nature but they keep fighting for each other against all odds just so their love can survive. I would have painted the dripping blood but I found an image at BM07 that had the effect that I wanted so I used that instead. 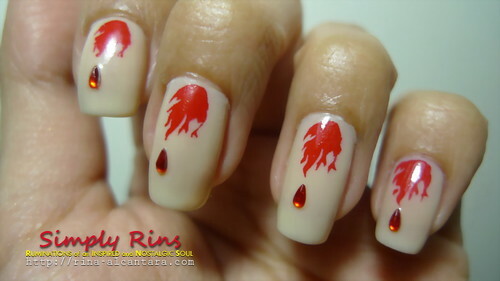 This nail art reminds me that Halloween is almost here. 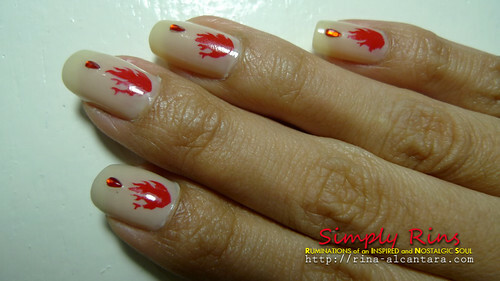 I'll be doing a series of nail arts with Halloween inspired designs in the coming weeks. I already have a few ideas! Anyone out there who believes in vampires? How fun! I've never seen that show, though I do read a lot of vampire books. Hot water spas are the best coleman inflatable spas on the great price.